Today we’re talking about the common denominator all gardeners face, the one thing that impacts everyone equally when it comes to maintaining our gardens and landscapes and that’s the unavoidable issue of weeds and how to best eradicate them from our lives – or at least our gardens. Fear not – a weedless garden is possible. No doubt you’ve heard the old expression, there are only 2 things guaranteed in life: death and taxes. Well, I’m here to tell you there’s a third. It’s weeds! No way around it. It’s Mother Nature’s great equalizer of life. 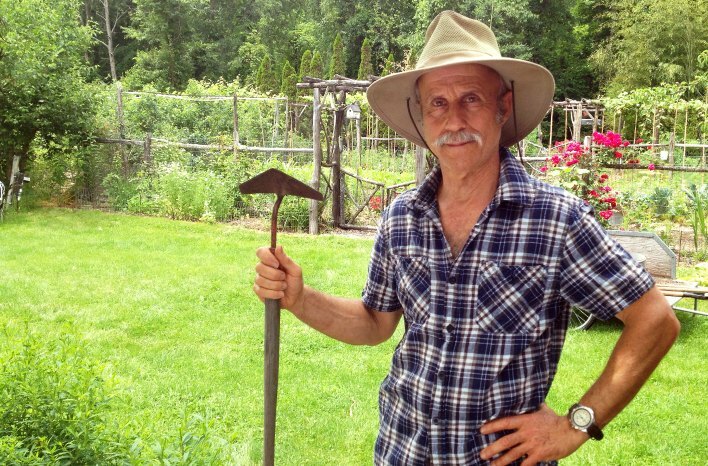 Dr. Lee Reich, standing with his under-used weeding tool, due in large part of his four-step approach to weedless gardening. 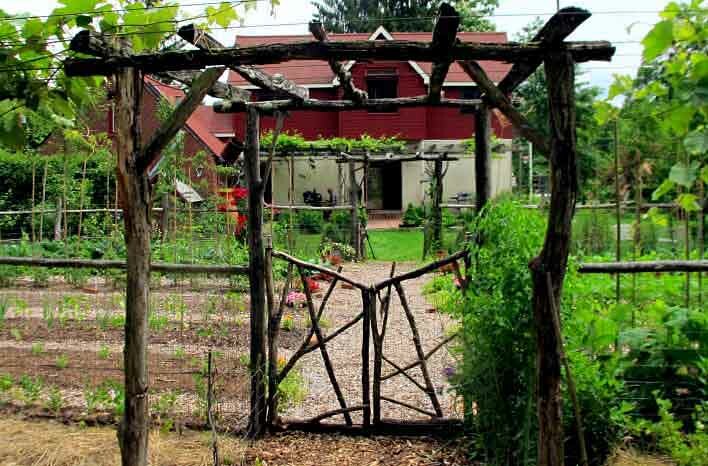 But what if I told you, while you’ll never be able to have a weed free garden, how would you like to have a weed-less garden? Yep, you can, and today we’re talking to the man behind the concept of weedless gardening, Dr. Lee Reich. In fact, he wrote the book on it by that very name-Weedless Gardening. So today we take a little time to have the discussion with Lee about the steps involved in how anyone can have a weedless garden. And as you’ll hear in our conversation, there are only four steps to achieving a weedless garden, and they’re not difficult. The use of drip irrigation is one of the four steps to creating a weedless garden. 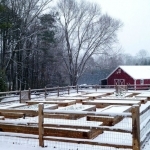 Lee runs just one or two drip lines down each of his rows to provide just the right amount of water, and nothing more. Minimize soil disruption. In other words, sell your tiller. There are just too many important things going on in your soil that form in the absence of being disrupted. Minimizing soil disruption preserves the soil’s natural layering. Protect the soil surface. 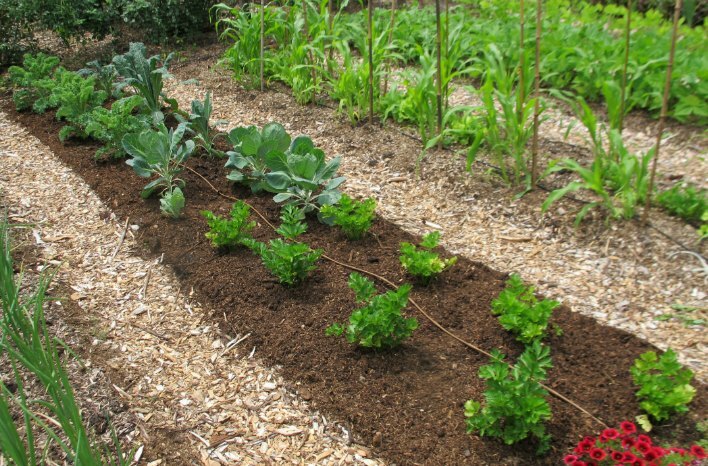 Covering the soil with some sort of natural barrier (like wood mulch) will temper the effects of raindrops and harsh sun on the soil’s surface while smothering weed seedlings too. Even living plants can serve as a protective layer over the soil surface. Avoid soil compaction. Keep off planted areas-period. No foot traffic, wheelbarrows, garden carts, etc. Designate separate walkways or paths for foot traffic and stay on them. Never step into or compress the soil designated for growing. Use drip irrigation. Drip irrigation in the absence of rainfall is the best way to deliver water to plants that come as close to how they actually need and utilize it. It pinpoints water where it is actually needed instead of wasting it with water that runs off from its intended target. Off target watering is also an invitation to promote weed growth by giving them a vital component to what they need to establish. Seeing is believing. Weeds in Lee Reich’s garden are few and far between. 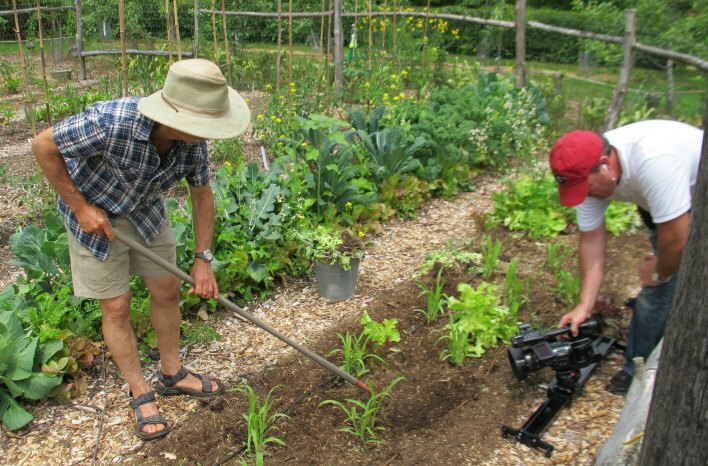 During our taping for this episode 406 of Growing a Greener World, we were able to see that firsthand. Now, hearing is one thing, but if you’re a visual learner and you want to actually see Lee talking about this very concept from his own garden, we did an episode of our television show, Growing a Greener World that I host on public television stations across the country and beyond. Episode 410 is all about Lee Riech and his weedless gardening methods. If you’re interested in this topic, consider this must-see TV. My special request to you is this – if you like what you’re hearing, I would love for you to say so over at iTunes on our podcast page. That’s where you can leave a review and other people can learn about us too. It’s the best way to get the word out about our show and for other people to find us. So thank you if you add your endorsement to our growing list of reviews. And if you want to get in touch with us there are two great ways. You can leave a comment below. Or, leaves us a voice message. There’s a tab on the right side of this page to do that. Just click on it and follow the prompts. We’ll get an email with your voice message. And the best part, I’ll be able to respond to your question or comment with a recorded voice message right back to you. It’s a great feature and I hope you’ll take advantage of it!